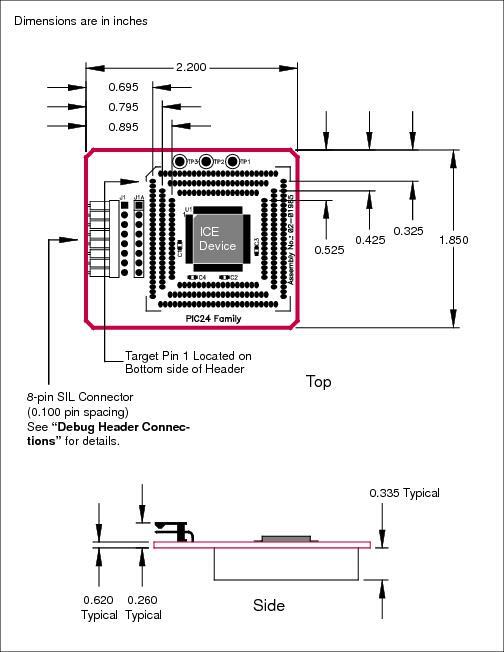 Test points are available on this header to check the following: Vdd, Vddcore and ground. 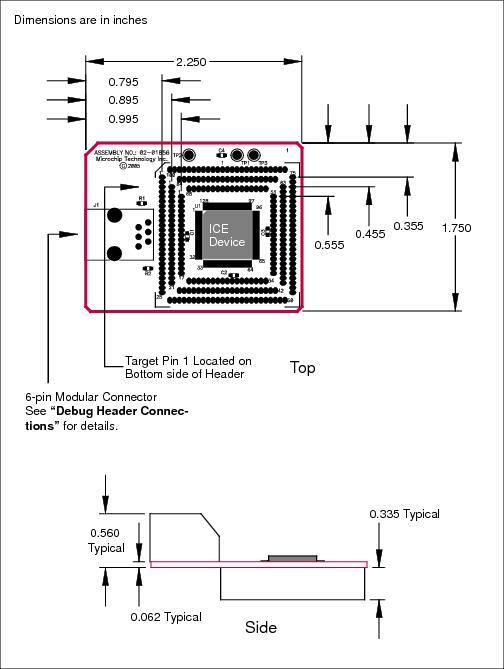 The figures below lists the dimensions for the debug headers. Dimensions are design values in inches. For this device family, header AC162065 will be sold until depleted. Then only header AC244022 will remain as a Performance Pak.